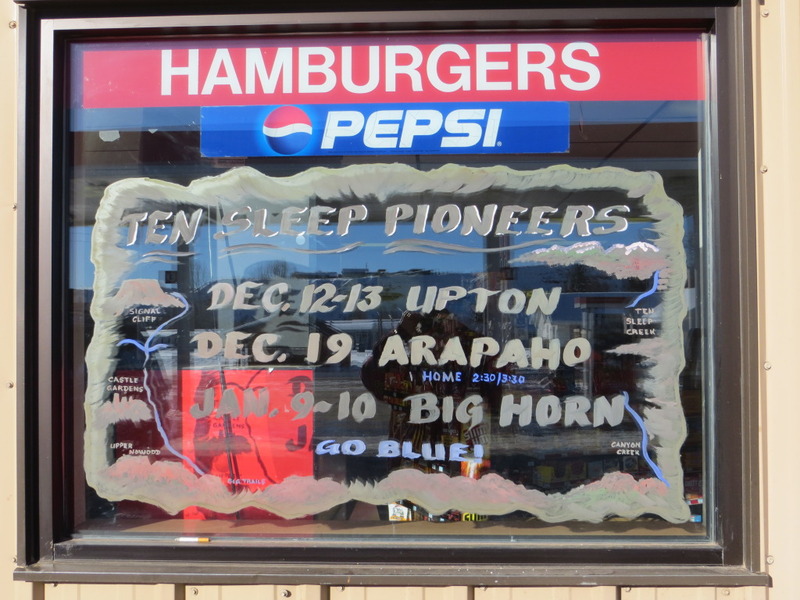 Started off the morning by zipping to Ten Sleep School. I honestly don’t visit there much, my interest has waned since my kids all graduated… and the biggest visit may be to haul some books over for a teacher or student. Today, though, they had an inspirational speaker who piqued my interest, and since I was going to Ten Sleep anyway… I decided I’d swing by. Wow. Amberley Snyder is an amazing young woman! She has accomplished much, with so much more in store! I’d encourage you to watch this youtube video of her… It’s not as good as her speech at school today, but it’s still pretty impressive! It’s supposed to resemble a map… with local places… and I’ll change it as the season really gets going. It’s not very bright, so I may change it up some. All I know is I wanted to do it today… I was actually HOT painting in front of that window! The paint dried almost instantly. It was fun to do. Eden met and watched a LOT of people… and I’m even going to get *PAID*. What a strong, amazing girl. I like how her horse was able to adapt to the changes also. A great story. Wonderful video about an amazing young woman. Thanks for sharing it. Also nice to see Eden vising town for her socialization. 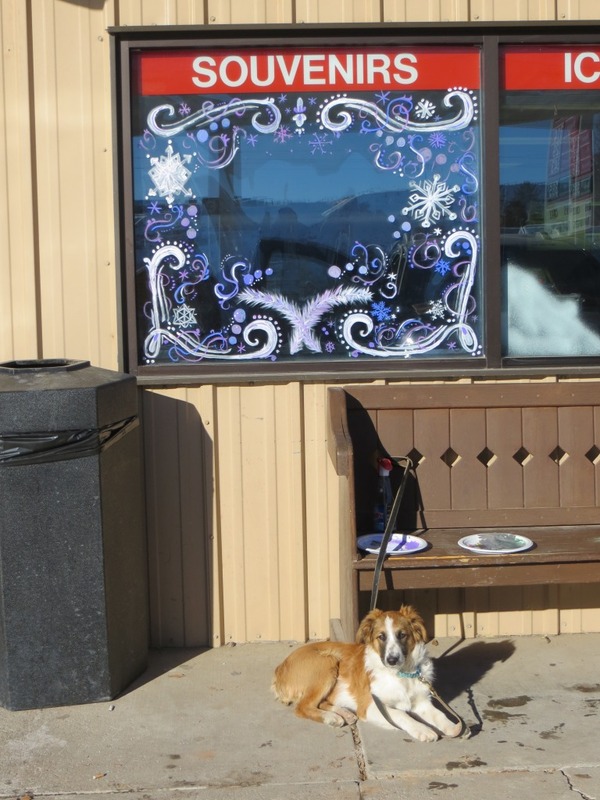 I hope many folks stopped by to pet her, and to see your frosty artwork! Just sat here for 22 mins and watched..teared up a bit too!! What a beautiful young lady. Thank You Carol for sharing the video. What an inspiring young woman. I’ve been a fan of Amberly through Facebook for a long time. She is truly an inspiration and I wish her continued success in ALL she does! Received my Red Dirt In My Soul 2015 calendar in the mail. Love the pictures. The calendar is now hanging in the kitchen. Thanks.